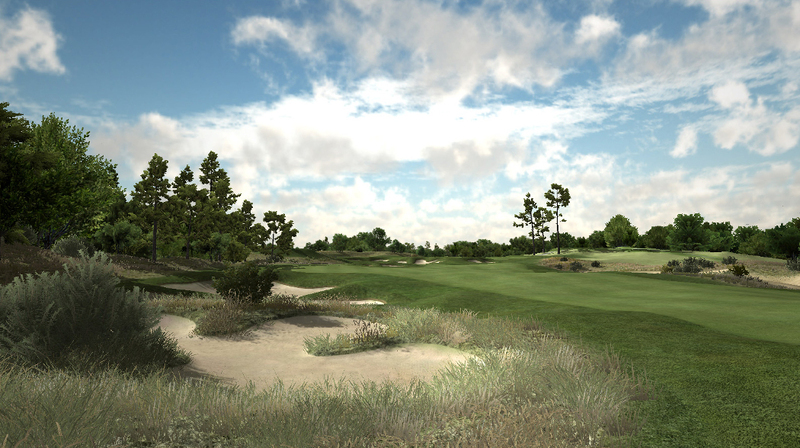 Nicklaus Design, the world leader in golf course design and the global firm founded by golf icon Jack Nicklaus, has announced a new strategic initiative with U.S.-based video game developer and golf visualization company Perfect Parallel to adapt three-dimensional (3-D) modeling techniques developed in the gaming and entertainment world to the world of professional golf course design. Nicklaus Design has adopted Perfect Parallel’s software suite as its official 3-D course design engine, and will be the only golf course design firm with that capability. Nicklaus Design is integrating these tools with its T2Green CAD system to create virtual working models of its golf course designs, which can be viewed in three dimensions and actually played with a golf simulator during the design and construction process. Although Nicklaus Design has been an industry leader since the late 1980s in the use of CAD systems to design golf courses, adding the Perfect Parallel engine will dramatically enhance the process by generating prototype course designs in a very realistic 3-D environment. These models will give Nicklaus Design and the client the ability to exchange realistic and detailed visual information during the design and permitting process and aid contractors in interpreting the final design during the construction process. The Perfect Parallel team comes with a global reputation in 3-D modeling and simulation for entertainment uses, including Broadcast TV, sports visualization and simulation, and electronic gaming. Perfect Parallel will drive the joint initiative with Nicklaus Design by licensing the use of its software tools to develop and visualize its golf course designs. Nicklaus Design has created more than 380 courses open for play in 38 countries and 39 U.S states. No fewer than 110 Nicklaus Design courses have hosted a combined total of over 770 professional tournaments or significant national amateur championships. Close to 100 Nicklaus Design courses have appeared in various national and international Top-100 lists. Perfect Parallel President and COO Andrew Jones is excited by the mutual benefits and potential of the new agreement reached with Nicklaus Design. Perfect Parallel is a software company specializing in virtual sports gaming, broadcast television, marketing and simulation. All of Perfect Parallel’s software products—including Terrain Forge™, Course Forge™, Broadcast Suite, and Perfect Golf—incorporate fully geo-referenced spatial data that enables the integration of real world data into their virtual environments. As the consumer and commercial markets surrounding broadcasting, gaming and mobile continue to battle for user time, Perfect Parallel is leading the push to integrate these three platforms into a single experience that will bring the user closer to the action and more integrated into it. The future of sports simulation is not just in making the experience more realistic, it is in making the user an integrated part of it and allowing users to compete against the professionals that are on television at their gaming console, PC or mobile device. Perfect Parallel Inc. is incorporated in Florida, with office locations in Buffalo, New York; Washington, D.C.; and Manchester, England. For more information on Perfect Parallel’s visualization services visit http://www.perfectparallel.com/visualization or contact them via email at info@perfectparallel.com. The Nicklaus Companies is dedicated to promoting excellence in the game of golf, preserving its great traditions and growing the game. For nearly 50 years, the mission of the Nicklaus Companies has been to enhance the golf experience, and to bring to the national and international consumer, golf-related businesses and services that mirror the high standards established in the career and life of Jack Nicklaus. In 2007, Jack Nicklaus partnered with Howard Milstein to help further the growth of the company and to realize the full potential of the brands and branded businesses. Howard Milstein is Chairman of New York Private Bank & Trust and is actively involved in the Nicklaus Companies, serving as Co-Chairman along with Jack. Products and services include golf-course design, development of golf and real estate communities, and the marketing and licensing of golf products and services. Nicklaus-branded products have been marketed worldwide since 1962. The Jack Nicklaus and Golden Bear-branded lifestyle collection of products includes restaurants; beverages; wine; home appliances; flooring; cabinets; apparel; footwear; and golf equipment.